It’s been almost two weeks since the ‘DeflateGate’ mystery hit the mainstream media. The timing was uncanny; it energized antagonists and conspirators who were upset about a Patriots win, baffled and numbed those still in the midst of an AFC Championship celebration and turned the heads of non-NFL fans to yet another juicy story about questionable integrity. Why has this story become so dramatic despite the fact that many claim it had no influence on the game whatsoever? For one, it’s a classic Good vs. Evil contest. It’s the arrogant and reticent Bill Belichick against the rest of the team’s fans. Why should this man be so quiet and shady without having ulterior motives? Hungry NFL Networks and advertisers are the primarily catalysts of the “DelfateGate” support team. They love yet another shot at attempting to corroborate the narrative that a dominant team like the Patriots cannot win games without bending the rules and scoffing at unknown league policies. Why not? The Patriots are one of the easiest targets. Challenging the integrity of a team that has had much success gives people a common platform for opposition and a neat opportunity for the confirmation bias many people have yearned for since Spygate. Sadly, the league that has instigated investigation has made so little effort to prevent the extremities of media reporting that it makes those who have accepted the Patriots’ firm denial wonder what the NFL is hiding. For anyone who believes “DeflateGate” was the beginning of suspicious league activity is overlooking the fact that this postseason alone has already began to prove the incompetence of officials (“Rescinded Flag in Cowboys Game”). While the NFL tries hard to portray the league as fair and balanced, their credibility is faced with the constant threat of questionable calls by officials that have unequivocally turned games around. The Patriots are taking the fall for what is amounting to a crass lack of responsibility in the officiating, game procedures and the NFL in general. Why does the NFL care more about antitrust law than the health of the players and fairness of the game? What is the rationale behind any team to be in possession of game balls and why has there never been a procedure to detect any ball manipulation? Other players and teams have done it, right? Many teams have even claimed the Patriots did it multiple times this season. No one finds it funky that this media frenzy just happens to come up before one of the league’s biggest cash cows? Why is this investigation, if it’s considered essential to the league, planning to extend itself until after the league’s biggest game of the year? Most importantly: Why is the NFL, who took a huge hit on public image for their lack of transparency with the Ray Rice ordeal, still choosing to give zero information? Nobody should narrow down this crisis to allegations of the Patriots: DeflateGate is just another domino that further exposes the problem the NFL has been having with preparation and accountability. The fact remains that the Patriots were and are a superior team. The players deserve proper recognition for their hard work and accomplishments. It’s hard for anyone with common sense to dismiss any appreciation for what the Patriots have accomplished over these past 13 seasons. It has been over 7 years since the one technical violation and the Patriots have continued their winning ways through diligence, talented team building, and creative coaching. To say that their success is attributed to the fact that every player on the team has continued to be complicit in a culture of cheating is extreme. To say that a coach who got penalized severely is still attempting to practice cheating under the table is disingenuous at best. Enough of the jealousy. 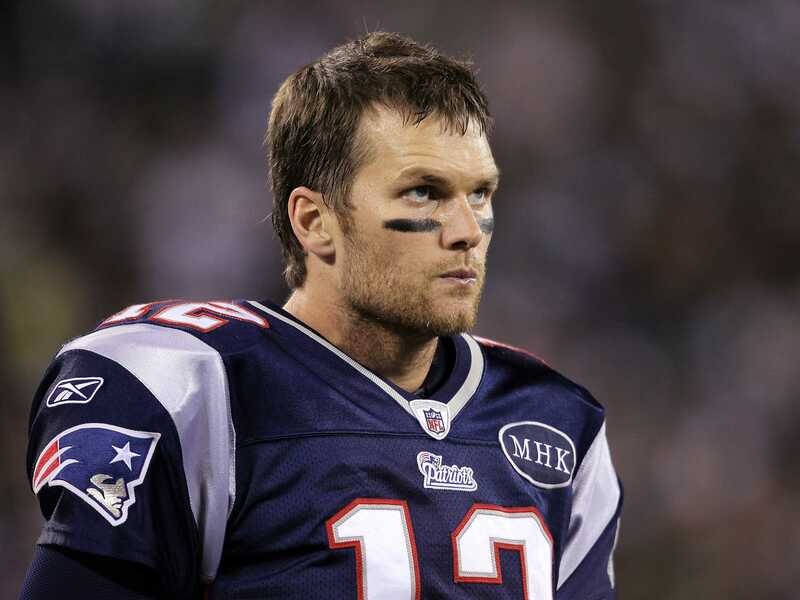 Enough of the “DeflateGate” garbage detracting from the play of a great football franchise. Enough of the exasperating excuses for why a team may have gotten steamrolled on both sides of the ball aside from the fact that the quality of the teams were unequal. Enough.